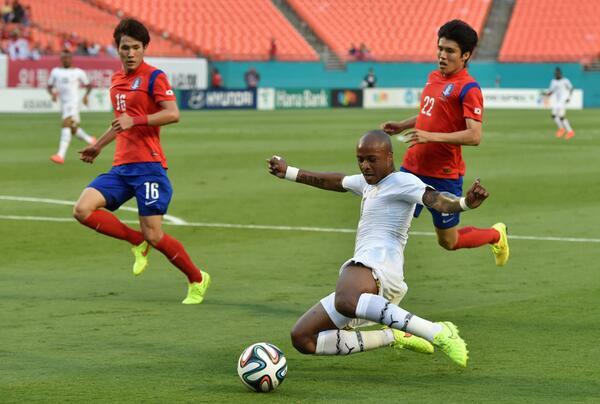 2014 is in the books, so like any good blog it’s time for a year-end review of the major stories in Korean football for the year. Any thoughts about Korea’s depth were cleared quickly as Hong brought a combined K/J/Chinese Super League team to the US to face Costa Rica, Mexico, and US ‘B’ teams. The results were an unconvincing win over Costa Rica and fairly comprehensive losses to Mexico and the US. Regulars like Lee Keun-ho and Park Jong-woo failed to bring the team to bear, and the “fringe” players failed to make a lasting (positive) impression. A sign of things to come. A 2-0 win over Greece in Athens is always a pleasing result, but this game was mostly notable because it marked the return of controversial forward Park Chu-young. Park had been on the outs of the national team as he continued to fail to make an impression with Arsenal, but a January move to Championship side Watford gave Hong Myeong-bo an excuse to bring the much maligned forward back in. Park returned with a bang, scoring a lovely first-time finish to open the scoring, but the good vibes weren’t to last as he went off at halftime because of knee pain. Good thoughts for the World Cup were dashed right before the tournament kicked off as the team lost 1-0 to Tunisia in Seoul and then were thrashed 4-0 by Ghana in Miami. The offense looked pathetic in the former, and the defense the same in the latter. Despite all the positive vibes coming across the Pacific, Team Korea was one of the worst performing sides at Brazil 2014. A fortunate goal against Russia gave the team their only point of the tournament. The side was blitzed by unfancied Algeria in the second match, and kept at bay by a largely second-string Belgium in the last group stage match. More shame awaited the team (and nation as a whole) as some disgruntled fans threw yeot at the team when they arrived at Incheon airport after the World Cup. Banners were unfurled claiming the “death” of Korean football. The incident drew worldwide attention and many puzzled looks from outsiders. Fans throw yeot at the players. Photo courtesy of OSEN. 6. Hong is Kept. Then Quits. Following the disastrous World Cup, speculation was rife about the future of Hong’s job. The KFA was quick to reassure the public that they still had faith in Hong, but stories emerged about a post-elimination party in Brazil and Hong and his wife shopping for a house right before the tournament. Hong was unhappy with the media intrusion into his private life and decided to step down. Hong Myeong-Bo speaks to the press at Incheon airport. Photo courtesy of Yonhap News. Hong wasn’t the only head on the chopping block. 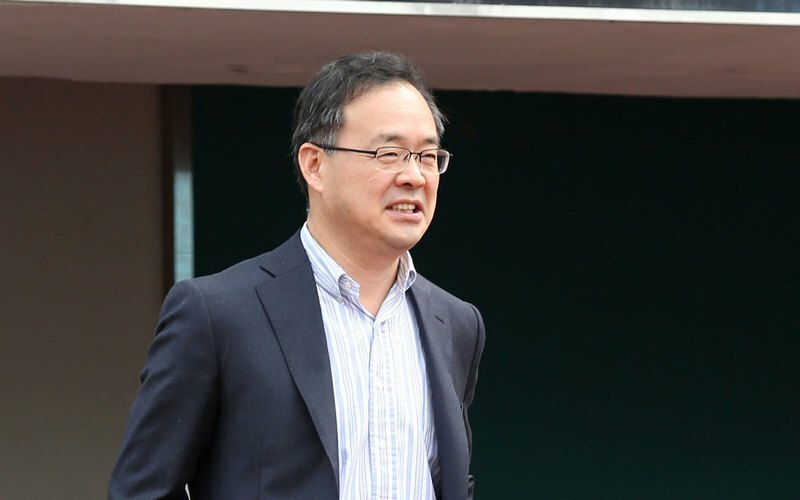 KFA vice-president Huh Jung-moo also stepped down, as did KFA technical director Hwangbo Kwan. Chung Mong-gyu brought back former technical director Lee Yong-soo to try and re-right the ship. Lee is noted for his hiring of former manager Guus Hiddink. Is there a player more responsible for the heightened awareness of Korean football over the last decade than Park Ji-sung? With due respect to players like Hong Myeong-bo, Lee Young-pyo, Ahn Jung-hwan, and others, I can’t think of one that reaches Park’s level. The announcement wasn’t a surprise as Park has been struggling with his knees for years, but it was still quite depressing. Farewell tours were held as PSV traveled to Korea to play friendlies against Suwon and Gyeongnam. Park was also invited to participate in the K League all-star game during the fall. Park Ji-Sung announces his retirement in Suwon. Photo courtesy of Yonhap News. As Park Ji-sung became Korean football past, Korea’s footballing future continued to make his name known. Barcelona youth player Lee Seung-woo lit up the AFC U-16 championship in Thailand with a series of wonder goals. Unfortunately for Lee and the rest of the team, they ultimately came up short – losing to North Korea in the finals. 10. Gold. Military Exemption. The Asian Games Triumph. While the U-16 team fell just short against North Korea, the U-23 team managed to get by at the last minute at the Asian Games. Lim Chang-woo smashed in a goal right at the death to win the gold medal (and military exemption) for Korea. The KFA had wanted to sign a “big name” to lead the team through the next World Cup, but negotiations with Dutch manager Bert van Marwijk fell through leaving Lee Yong-soo scrambling to get some in time for the Asian Cup. In the end they hired Uli Stielike. The move had reporters (and bloggers) running to Wikipedia to try and find something out about the new manager. Stielike had a distinguished playing career in Germany and Spain, but was largely unknown as a manager. Stielike wasn’t hired in time to lead the team against Venzuela and Uruguay, Shin Tae-yong took the reigns for those matches. 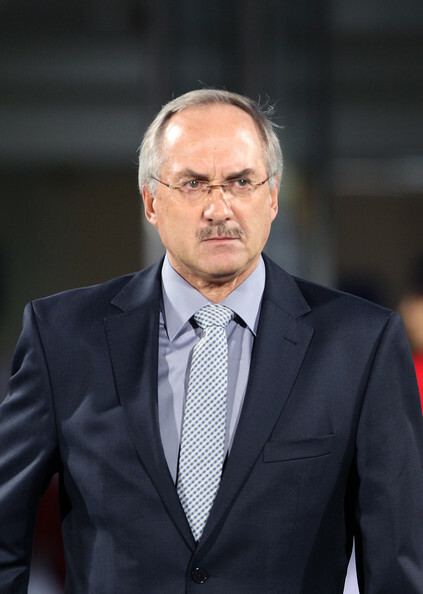 But Stielike was able to make his managerial Korea debut against Paraguay and Costa Rica. He didn’t have much time, and it showed as the team looked much the same as before. The next matches, against Jordan and Iran showed glimpses of what Stielike wanted. Possession, quick attacks, and a more central playing style. 13. Jeonbuk Champions. Gyeongnam/Sangju Relegated. The 32nd edition of the K League ended with former national team boss Choi Kang-hee and Jeonbuk Hyundai Motors FC champions. The boys from Jeonju ran away with things in the end, seeing off an early challenge from Pohang and a late run by Suwon. At the other end of the table the army boys from Sangju and Gyeongnam FC were sent down to the K League Challenge with Daejeon Citizen and Gwangju FC making their returns to the top flight. 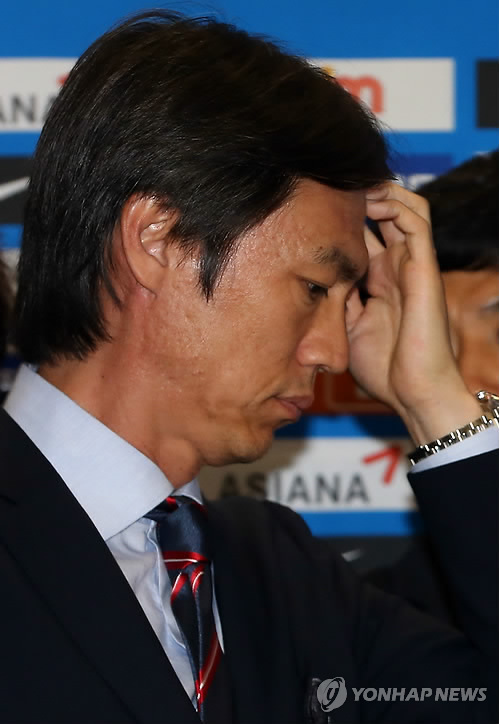 Sangju took the relegation well, but Gyeongnam provincial governor Hong Joon-pyo made headlines when he threatened to pull the province’s funding (and thus ending the team) due to the team’s failed performances. In the end, he didn’t, but the future is very murky for Gyeongnam going forward. While the disappointment of the World Cup overshadows virtually everything Korean-football related, 2014 still had lots of positives and exciting moments. 2015 will start with a bang as Korea attempts to finally win the AFC Asian Cup in Australia, ending the team’s 55 year drought in the competition (last championship win was in 1960). The domestic season will kick off shortly after that, and there will of course be the increasing number of Korean players playing in Europe to keep track of. From everyone (Roy, Jinseok, Jae, Tim, Jeremy, Takeuchi, and Evelyn) here at the Tavern of the Taeguk Warriors, we look forward to another year of bringing you news, analysis, and other Korea-footy stuff in 2015. We also, of course, are extremely grateful and thankful for everyone that visits this site, comments, and otherwise makes it one of the best places to talk Korean football in English. We wish all our readers a very Happy New Year! 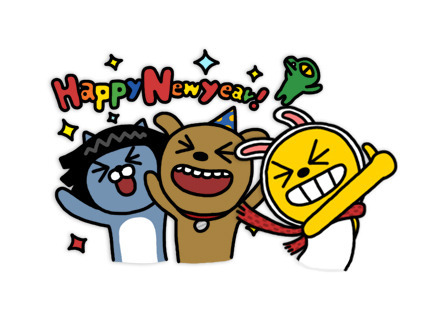 To a wonderful 2015! Seh heh bok mani badu say yo!